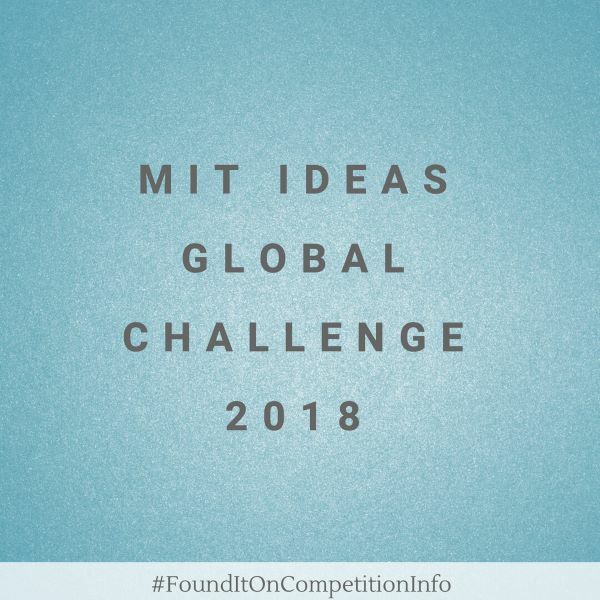 This is a call for entries for the 2018 MIT IDEAS Global Challenge Competition. As an annual innovation, service, and social entrepreneurship competition run by the Priscilla King Gray Public Service Center, the Massachusetts Institute of Technology (MIT) IDEAS Global Challenge enables MIT students to work in teams to tackle quality of life issues for people around the world. With implementation awards, as well as additional development grants, IDEAS teams can take an effective step toward resolving pressing individual and community challenges. Implementation grants will be awarded for $15,000, $10,000, and $7,500. If selected, your team will be invited to submit your Final Proposal to the judges by Tuesday, April 3, 2018. Pitch your idea to judges and the audience at the Innovation Showcase on Saturday, April 21, 2018. Successful teams - prepare your work plan at the IDEAS Winners’ Retreat (May 11-12), and implement your idea over the 15-month grant (through August 2019).